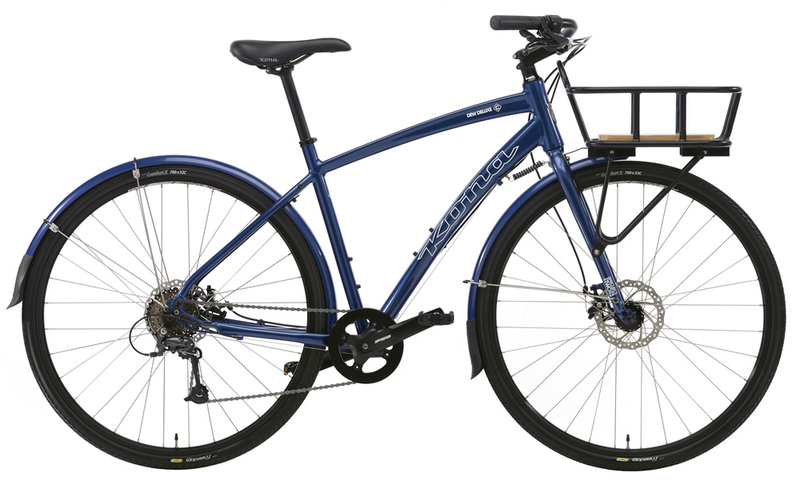 Designed for the discerning commuter, that person who's looking for some performance in their day-to-day travels, the newly designed 2013 Dew DL features a speedy Kona Project Two Aluminum fork and new smooth-shifting, easy-to-maintain 1x9 Shimano drivetrain. This year we've also added fenders with long tails to keep your feet dry, front porteur-style aluminum rack, and wide platform pedals that provide good tread without cutting your shins. Kona 7005 and 6061 Aluminum alloys are used extensively throughout our fleet of mountain and asphalt bicycles. A tough, durable, affordable, light alloy, both Kona 7005 and 6061 deliver fantastic, reliable performance that lasts for thousands of rides. It is, by far, the ultimate aluminum tubing on the market today. Much of our 7005/6061 tubing is butted and/or formed, meaning the tubing's wall thickness can be increased or decreased, as well as shaped, allowing us to fine-tune a particular frame's strength and ride characteristics depending on its intended application. Short chainstays and seatstays provide a perfect balance of stability and power transfer when out of the saddle and pedalling hard. Shorter seatstays also have less deflection during braking and accelerate faster than longer stays. The shorter rear triangle also helps the bike to negotiate tight-twisting sections of trail. Our new Entourage short-travel downhill bike is a good example of an incredibly compact rear triangle. Our goal was to create a bike that was easy to jump and trick, and could also corner aggressively. With seatstays measuring just 415mm, we've created one of the most nimble short travel DH bikes in the industry. By having the headset bearing located inside the headtube (called zero stack), rather than the top and bottom, we are able to achieve a number of advantages when it comes to front-end stiffness, durability and overall riding performance. The major benefit of an internal headset is the extra layer of protection it provides the bearings against the elements. Additionally, the bearings are commonly available angular contact bearings, which are easily and inexpensively replaced. An internal headset also reduces stack height, so the height of the stem and bars are more adjustable, giving the rider the best fit possible. Kona warrants to the original owner that their new Kona bicycle frame purchased from an authorized Kona dealer shall be free of defective materials or workmanship for the lifetime of ownership by the original owner. 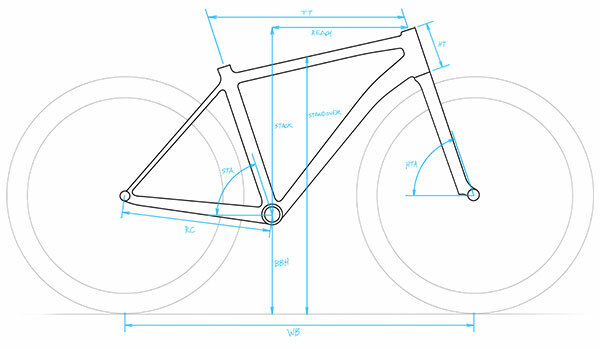 This warranty is limited to five years for carbon fiber frames.